Chris Duncan on leadership, luck and his approach to marketing. I’ve been lucky to spend most of my career in agencies or in media – both of which move fast and have some great leaders and some hairy problems to work on. My leadership style has evolved from that. I learned to ask the big question that no-one quite knows the answer to but knows needs asking. I learned to then spend your time helping your teams find the answer through a combination of their own curiosity, restlessness and technical skill. Marketing is, more than ever, about change. We get out of bed every day to understand how to change our audience’s behaviour, evolve our products and improve our processes to generate business growth from happy customers. To do that, we also transform our organisations in waves of new thinking, skills and talent. To run a business in this climate, you have to keep communicating at all times. Humans need the reassurance that, although you can’t always give them certainty, they will get the support and tools they need, even when they’re uncomfortable about how quickly their world might be changing. I jump across The Sun, The Times and The Sunday Times, and across print and digital formats. You get a lot of practice in tuning into different audiences and attitudes on the fly, back to back, in half-hour slots. It takes discipline to be able to ignore your own reactions and to judge propositions and creative approaches as if you were the audience – you have to recognise that mostly you are not the customer that we are trying to second-guess. I remember years ago letting three people go and finding out afterwards that, for one of the analysts, that impacted the person he sat next to, the guy he had lunch with and his girlfriend. And we had not thought to speak to him because our files said he was "not impacted". I always admire people who have careers. It seems like a very organised and purposeful thing to do. Mine looks like long periods of working my arse off, then coming across an opportunity that I couldn’t turn down. I’ve been lucky to be present at the birth of email marketing, search, social media, digital out-of-home, augmented reality, virtual reality. I hope that perspective helps you ask the right questions of innovation. I have seen that most new things move from changing the world to finding a place in the world. I’m interested in human behaviour and I want to grow the business by getting happy customers to spend more. I want to see strategies, creative development, sales automation, customer service and retention all lined up towards creating a big shift in performance. Basically, the whole gig. Time is the hardest thing to manage. It disappears so quickly and I’m always too interested in the conversation that I’m in to leave on time. I’d love to be more punctual. But I’ve also learnt a lot when someone has really grabbed my attention, and I’d hate to have walked out on that. To counter that, I ask myself: do you need to be here right now and are you adding anything? Often, the answer is "Not really, no" and you can then find another place where the answer is "Right now, yes". Over the past three years, marketers have been given two great gifts. The first is an unprecedented ability to target individuals based on their previous behaviour on hand-held personalised devices. The second is the potential to reach a billion people in a day with content that costs next to nothing to produce. These are amazing leaps forward and, quite rightly, we have experimented widely. These new tools are subject to the same laws of any communications: content and creative are big variables, context is important and customers are smart in their choices and in their reading of when they want to think about your brand and when they don’t. There is an oligarchy of platforms controlling access to the internet. That’s not in the long-term interest of media competitiveness. I wish more brand owners understood that the free web is not a given. In a digital world, the most important attributes for a marketer is their ability to take in information, to learn fast and to communicate well. Whoever learns fastest wins. 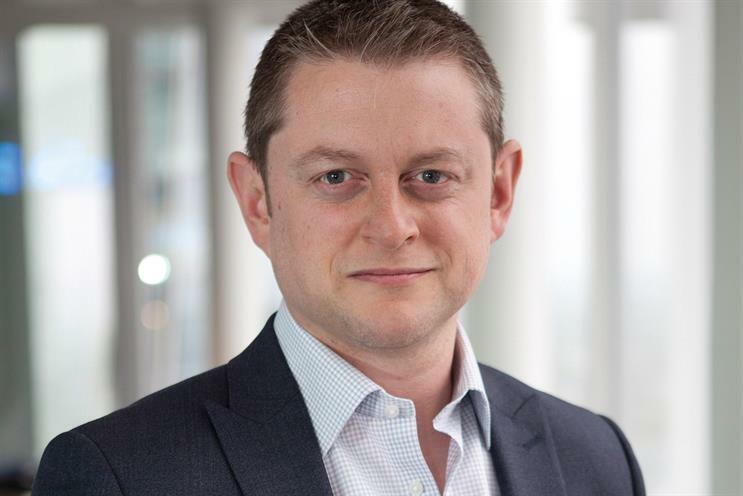 Chris Duncan was named chief customer officer at News UK in January. He is responsible for circulation revenue, subscription sales of print and digital products, brand management and customer experience.